Browse: Home /	Recycling / Flatbush Electronics Recycling Event This Weekend! 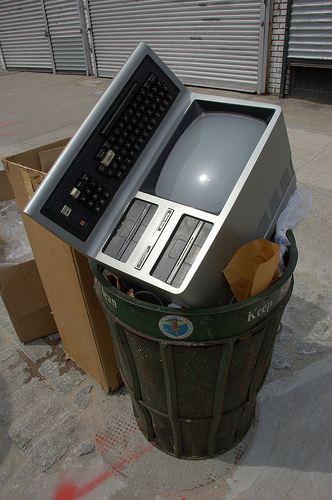 This photo by Flatbush Gardener illustrates how NOT to dispose of your unwanted electronics items! Discarded computers and electronics are toxic hazardous waste! to this neighborhood e-waste recycling event. Co-sponsored by Flatbush Development Corporation. I don’t understand the note about tags. Please explain. I don’t understand these tags. I will put one here and see if that helps.